Helen Weinstein, Creative Director Historyworks was delighted to be invited to give a keynote presentation and for the Historyworks team to network at the inaugural "My Cambridge" Marketplace, which took place at the Cambridge Junction on the evening of Monday 12th September and provided a fantastic opportunity to showcase a number of Historyworks ‘Creating My Cambridge’ projects. Helen Weinstein's Presentation for 'My Cambridge' called "Under Your Own Steam"
Approximately sixty schools, youth organisations and services attend the event and the Marketplace hosted around forty stallholders including representative from music, dance, visual arts, theatre, design, literature, film and photography, digital media and heritage sectors. It was the first time this diverse range of organisations had come together in the same place to network, share their practice and inspire one another to find new and exciting ways to creatively engage young people. As the evening got under way, delegates started to browse the stalls and engage in conversation, whilst enjoying refreshments and a bite to eat post-work. Helen, Mario and Tizzy all enjoyed meeting people and sharing our practice at Historyworks for developing artistic projects that inspire children's cultural engagement with their own neighbourhood and city. Following this, we were all encouraged to move through to the auditorium and take their seats on tables around the room, ready for the short talks from a number of key speakers. 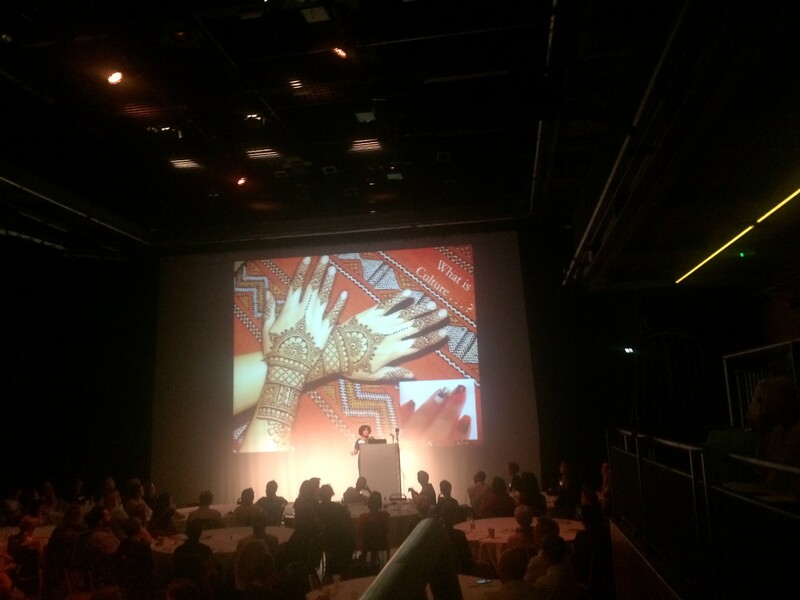 It was fantastic to hear some inspiring speakers talk about the role of creativity and culture in children’s lives. Rachel Snape, Headteacher at the Spinney School began the talks, sharing the story of where the inspiration for ‘My Cambridge’ came from and how this acted as a catalyst to develop this initiative. 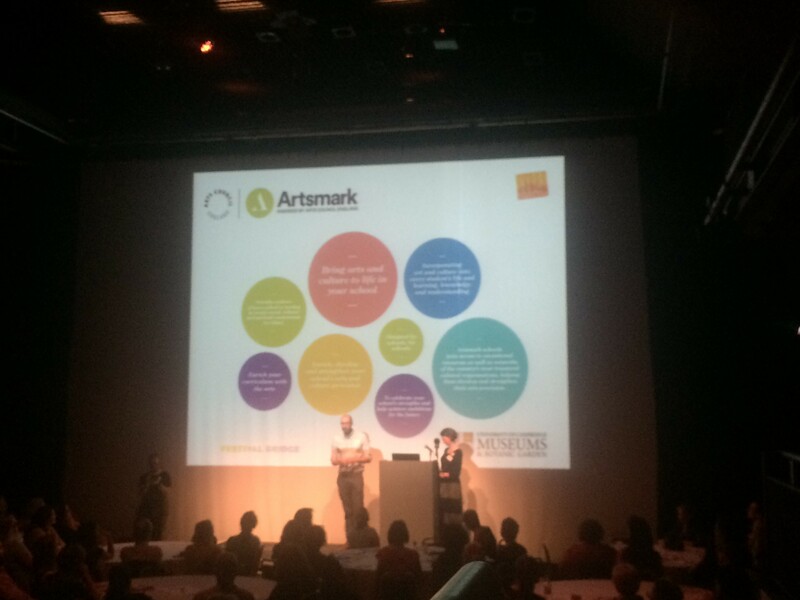 This was followed by Michael Corley from the Festival Bridge and Miranda Stearn from the Fitzwilliam Museum, who talked about the Arts Council and University Museums artistic and cultural engagement projects and initiatives, including Artsmark and Arts Award. 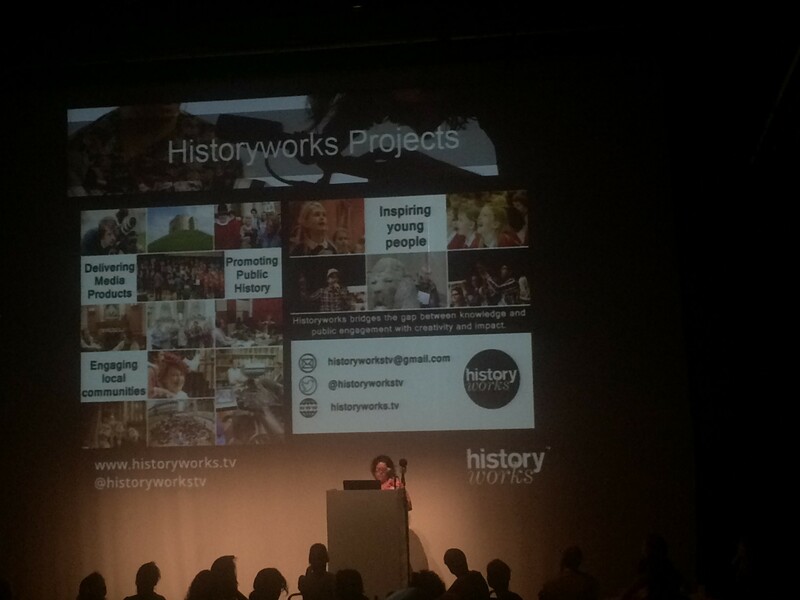 Helen Weinstein, Creative Director of Historyworks gave a short talk to showcase the work we have been doing throughout this year with Primary School children, in partnership with various Museums and Heritage sites across the city. Helen shared the journey children went on, both in the physical and metaphorical sense; exploring new parts of the city that they had never previously visited, taking ownership of heritage sites and museums and being inspired to create their own artwork inspired by their journey of discovery. At the end of the talks tables were encouraged to engage in a fun networking activity led by Caroline Rippin from the Menagerie Theatre Company, where people used the contents of their pockets or handbags to create their own short piece which provided lots of amusement, whilst at the same time having some poignant thoughts. Following the talks delegates had the chance to continue to explore the numerous stallholders around the Junction and find out more about the fantastic artist and cultural organisations working in Cambridge and across Cambridgeshire. It was wonderful to have lots of people come to the Historyworks stall to find out all about the Bluetooth beacon technology and be so excited about its potential for helping enable artistic and cultural participation! At Historyworks we have been piloting the Bluetooth beacons over the past year in partnership with the Museum of Technology and Great St. Mary’s Church, as a way to offer members of the public a new, exciting way to find out about local history and engage with public art, using their smartphones or tablets. We were absolutely thrilled to be at the event and had a brilliant time meeting old friends and making new ones at first My Cambridge Marketplace. We’re very much looking forward to continuing to work in partnership with My Cambridge in devising and developing inspiring artistic and cultural projects in the near future.